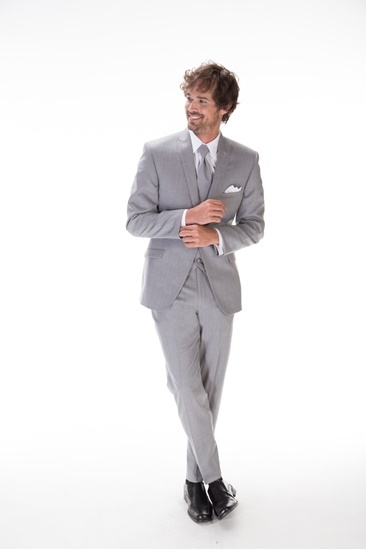 A heather grey peak lapel tuxedo. Features a slim fit, side vents and flap pockets. Paired with slim fit pants.